In yet another horrific incident, a 15-year old CBSE class 10 girl student tried to commit suicide by hanging herself at her home in Jharkhand's Jamshedpur city on Thursday. In yet another horrific incident, a 15-year old CBSE class 10 board examinee tried to commit suicide by hanging herself at her house in Jharkhand's Jamshedpur city on Thursday. As per reports, the incident took place at Sitaramdera's Chhayanagar slum near MGM Medical College Hospital at about 1 PM on March 15. The girl, who was saved by one of her family members, has sustained neck injuries and was rushed to the local hospital. The person first spotted her in a dupatta noose tied to a ceiling fan and immediately loosened the knot brining her down. 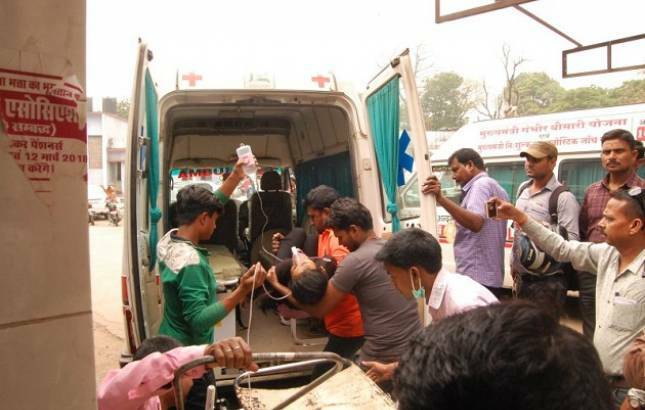 Doctors on the local hospital emergency later referred her to Tata Main Hospital in Bistupur. The student is yet to come to sense and police officials are waiting for her statement. According to Dilip Kumar Yadav, Assistant sub-inspector at Tata Main Hospital camp police station, the mystery behind the girl's death wish is yet to be resolved and they will record her statement as soon as she will come to her sense. "The girl is still unconscious. We will wait for her statement," Yadav stated. Sitaramdera police station OC, Rameswar Oraon said, "The girl was first taken to MGM Medical College Hospital in serious condition, and later she was referred to Tata Main Hospital. We will register any case only after getting a complaint." The CBSE candidate was appearing for her Class 10 board examination since March 5 and took such a dreadful step by leaving everyone stunned. "She is an average student, but it is unlikely for her to kill herself over exams. She had no paper on Thursday," according to a neighbour. There are also reports that the teenager attempted suicide after having a fight with her mother on the same day. In recent days the cases of student suicides have been increasing at an alarming rate in India and such cases are not finding its way to stop in any way. The country has one of the world’s highest suicide rates for students. According to researchers, failure in examinations, and absence of adequate family support or solace are the reasons behind such disasters.